A Manchester United scout is said to be in the stands at the JAwaharlal Nehru Stadium, where India are set to face off against Colombia, today. Earlier last week, reports surfaced that India's U-17 national football team starlet Komal Thatal was being tracked by talent scouts from English Premier League side Manchester United. Despite the presence of several Bundesliga and Serie A clubs, India's first match didn't see representatives from any of the top Premier League clubs. 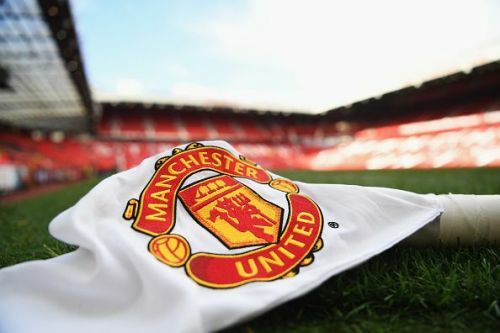 However, sources close to Sportskeeda can confirm the presence of scouts from Manchester United during India's Group A game against Colombia, tonight. A source in the know said, "I can confirm to you that the Manchester United scout will be present for both the encounters in JLN stadium today. However, it's a FIFA rule not to reveal the names of Talent Scout representatives from the respective clubs. Even we don't get that confirmation, the logistics of their presence has to be managed by the Local Organising Committee. Nor can we confirm, whether the talent scouts have come to watch an Indian player or Colombian one. All we can say is that the Manchester United Scout will be present for the match." This particular piece of information comes immediately after confirmation that Bundesliga clubs such as Borussia Monchengladbach were tracking the progress of Indian goalkeeper Dheeraj Moirangthem. Our source added, "All Scouts are also given access, during practice matches and the logistics of those aspects have also been handled by the LOC. I think till now the games in Goa and Kerala have seen the most number scouts attending. The matches at JLN haven't received as much attention as compared to the other ones." The match between Iran and Guinea in Goa saw the most number of scouts in a single game so far with as many as 10 representatives spread across different gates. Our source added, "Tickets are assigned to the scouts and they are spread across different gates, this information as well cannot be shared with anyone outside the LOC. The gates are specifically allotted 24 hours before the match." India currently sit bottom of Group A, after losing their opening day encounter by three goals to the United States of America. They face off against Colombia in a do-or-die match, another loss would all but knock India out of the tournament.